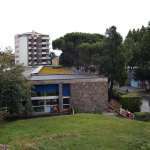 This building was constructed between 1939 and 1941 and designed by the architects Figini and Pollini. 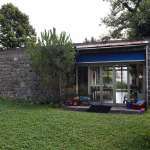 The interior furnishings were designed by the Olivetti in-house Technical Office in those days managed by the architect Gian Antonio Bernasconi. 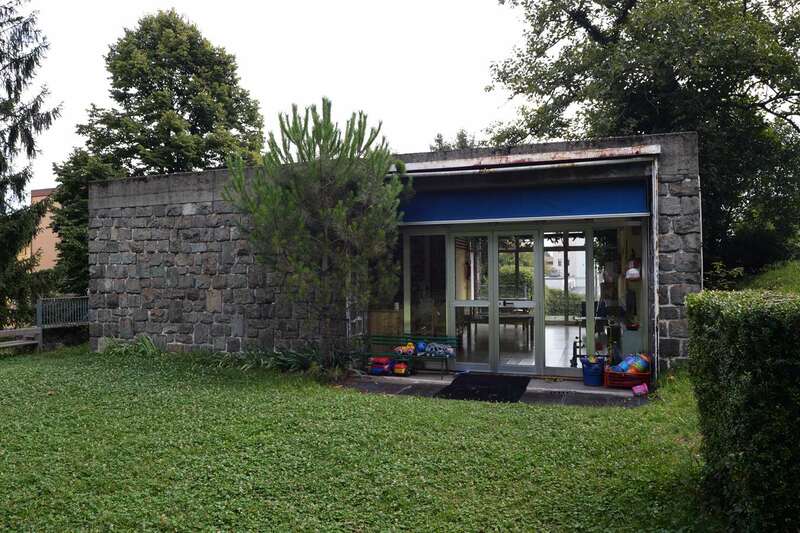 Hidden by the boxwood hedges which shelter it from the outside, this building is still used today for children’s services under the management of the Municipality of Ivrea. 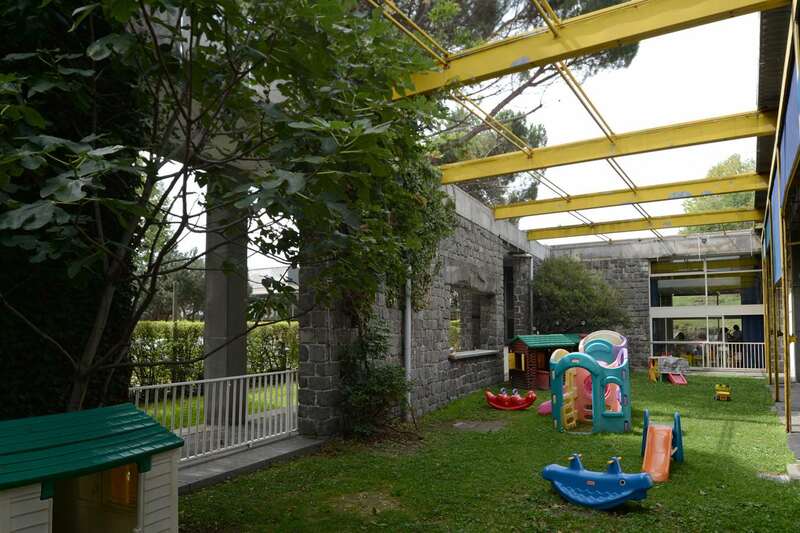 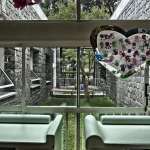 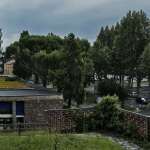 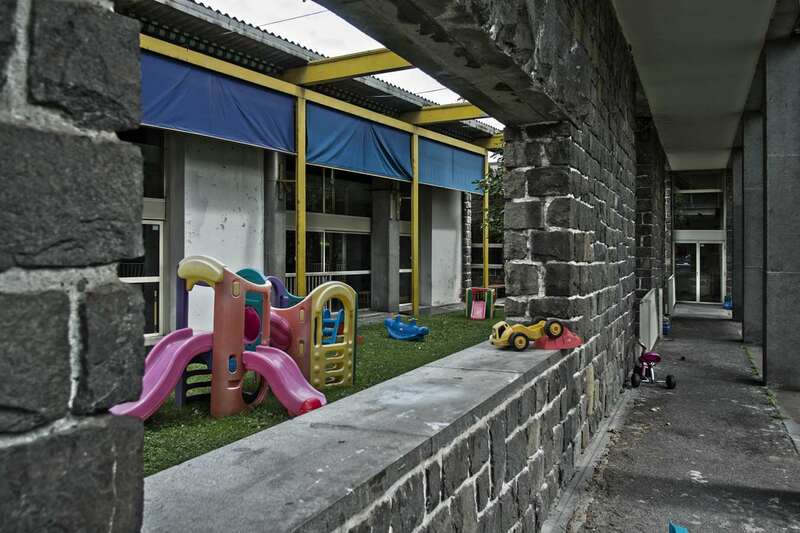 Alongside the central building on the nearby hill with its visible diorite rocks and Mediterranean vegetation is the nursery playground which cannot be seen from the road and can be reached over a ramp from the inside courtyard of the nursery. 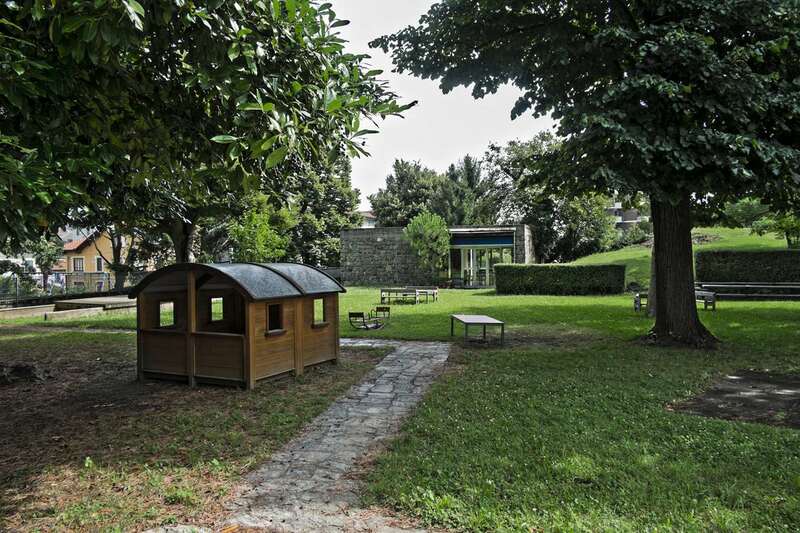 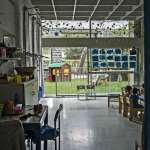 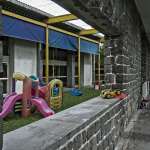 The area has a pergola, fountain, benches, stone tables and a small portico for storing games which also serves as a rain shelter and is now closed off by sliding glass doors. 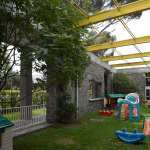 A shallow on the turf completes the area. 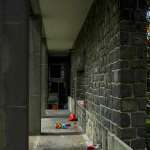 The central building is made entirely of stone with opus incertum walls and a crowning beam in plate covered concrete. 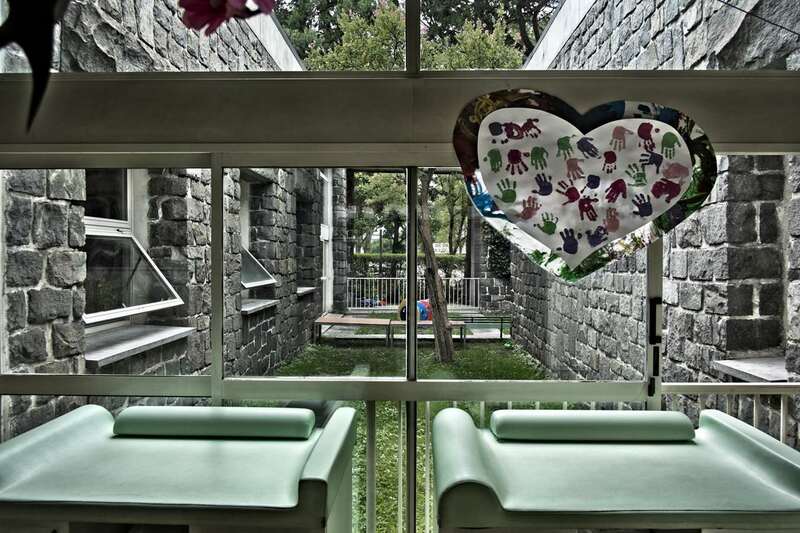 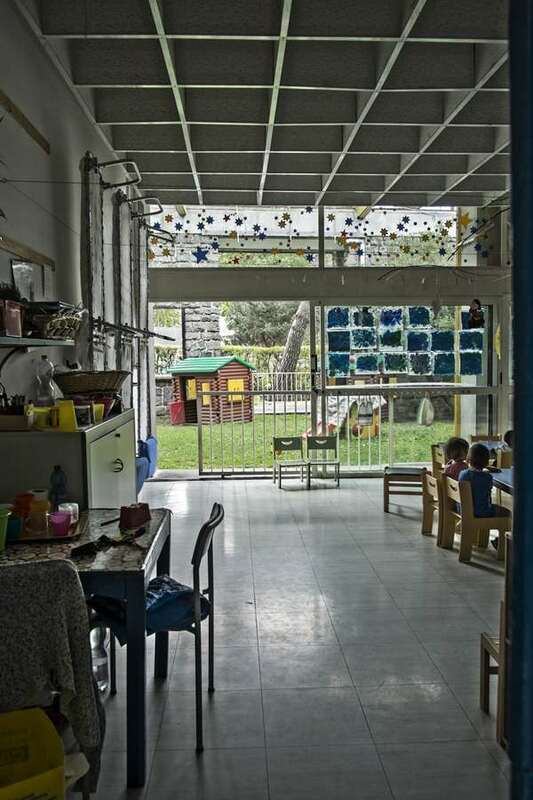 Packed with Le Corbusier quotations and reflections on the classic roots of modern architecture, the nursery is an important step in the research of the two Milanese architects. 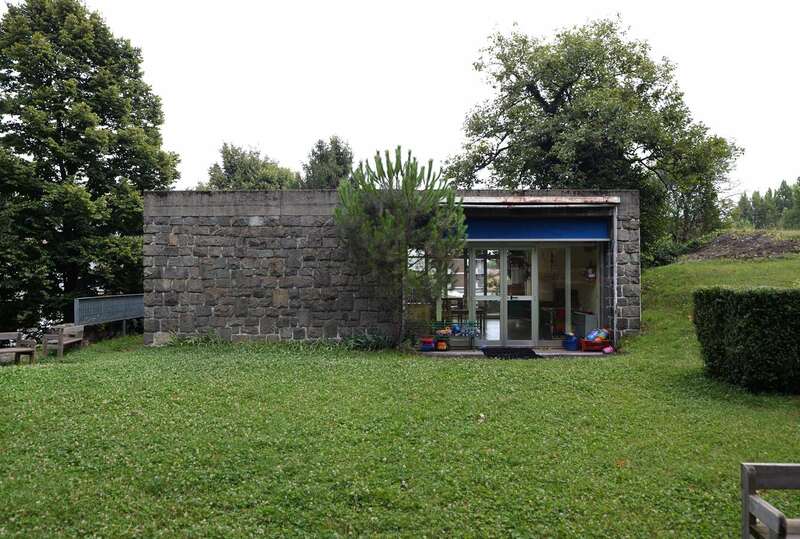 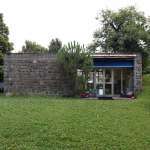 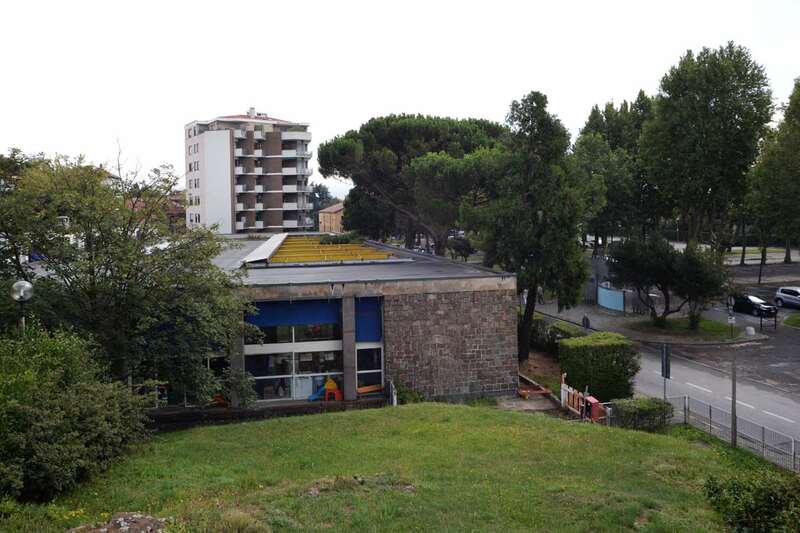 Together with the ICO workshop block and the first projects for the industrial city of Ivrea, this building soon appeared in publications of magazines such as “Casabella-costruzioni” to promote the debate on modern architecture and the construction of a modern and egalitarian society.